For ladies who lunch, take a seat at The Hampton’s Café delivering delicious home baking and fresh healthy meals in an iconic costal atmosphere. 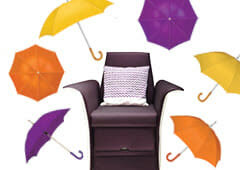 For fab food, fashion and furnishings swing by for a spot of organic eats at cool girl haven Comptoir 102. 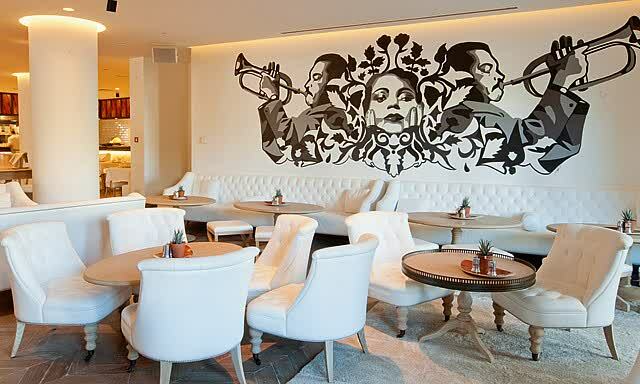 Housed inside a stylish boutique, Comptoir 102 is where healthy eating meets Parisian taste. 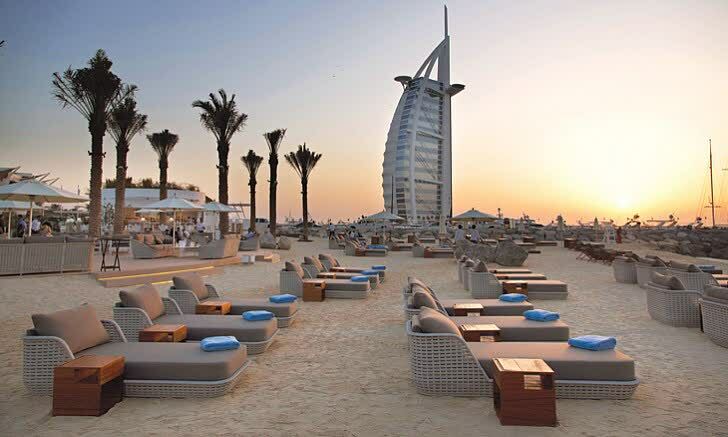 Fancy a spot of sun bathing while you sip on some sundowners then head on over down to Cove Beach – the newest hot spot at the Jumeirah Beach Hotel. 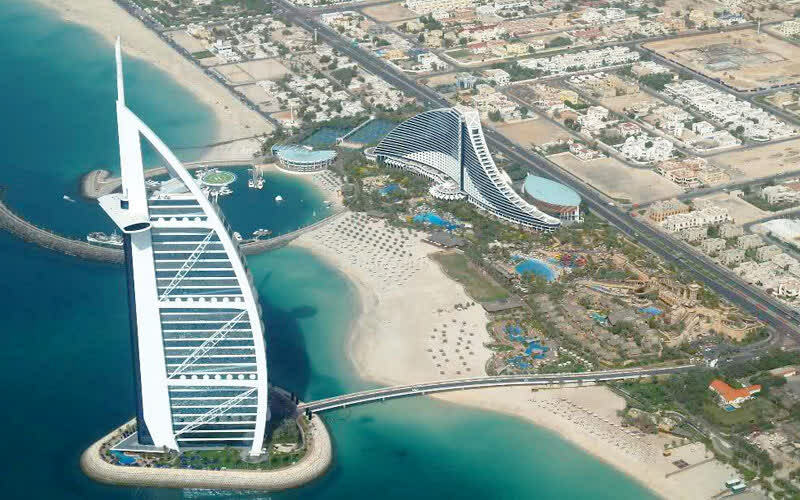 The new kid on the block offers some large and luxurious sunbeds, perfect views of the greenest Dubai ocean you’ll eyes will ever see and a vibe that will have you reminiscing about white washed European beach clubs. The Madinat Jumeirah is most definitely an iconic hotel in the area because of its amazing architecture as well as the fact that it’s home to some amazing restaurants, bars and shops! The Souk Madinat is a little maze market with tons of amazing open shutter stores that’s perfect for retail therapy whether or not you’re a tourist! Our fav thing to do is to indulge on some French pastries and brekky at Frioul Bistro de Luxe before spending the day trawling through the souk. 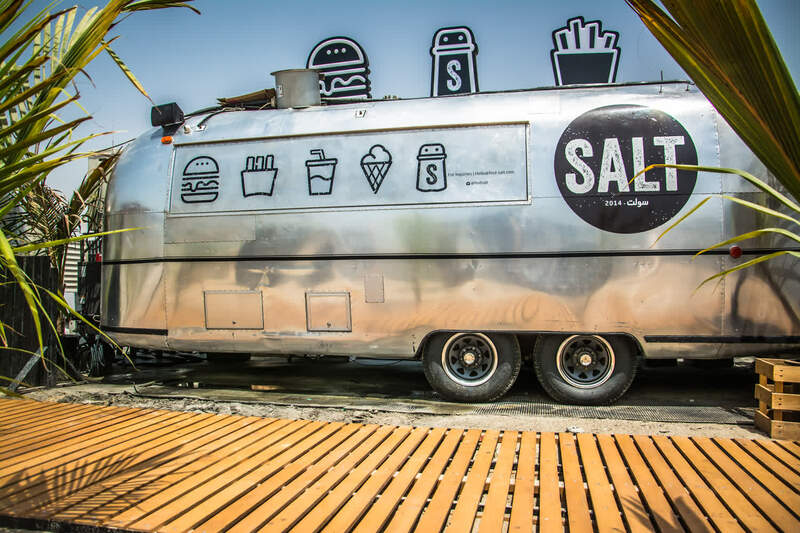 While you could relax on the beach and enjoy some serious sun bathing – you could also head on over to Kite Beach, don’t forget to check out, Salt – the hip beach eatery making waves in Dubai serving gourmet wagyu sliders. Try out their new black bun burger, it won’t disappoint! For the more adventurous head on over the monumental Wild Wadi for some fab family fun to beat the hot weather! Chill on the lazy river or experience the popular Jumeirah Sceirah tandem slides to really get the adrenaline rushing! Re-fuel and soothe your sweet tooth by stepping next door to our Jumeirah Road branch to Dum Dum Donutterie or step across the road to cool down with Scoopi – the ice cream at Scoopi is made with liquid nitrogen, which means it’s frozen at extremely low temperatures, resulting in a creamy, smooth texture! Dum Dum’s artisan donuts baked not fried, which makes them slightly guilt-free but still down right delicious – our fav is the Peach Melba Cro – you can thank us later!